Buddy was my best friend for 10+ years. 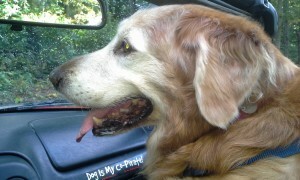 He left last week at the age of 13 yrs and 2 days. 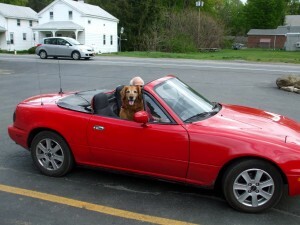 We did everything together, and he especially loved riding in the red Miata. He became very popular in town, and folks would wave and shout,"Hello Buddy" when we drove by. He was the best Buddy a guy could ever have.